Neal Stephenson’s bestselling novels about science and technology have provoked readers for a generation. From Snow Crash to Seveneves, his fictional worlds pose fascinating thought experiments, such as: What would happen next… if California seceded from the United States? If nanotech and virtual reality became as “normal” as the Internet? If humanity suddenly had two years to save itself from Earth-melting asteroids? We asked the creatively prolific Stephenson for his writing advice. Read it below. Interested in improving your own fiction writing? 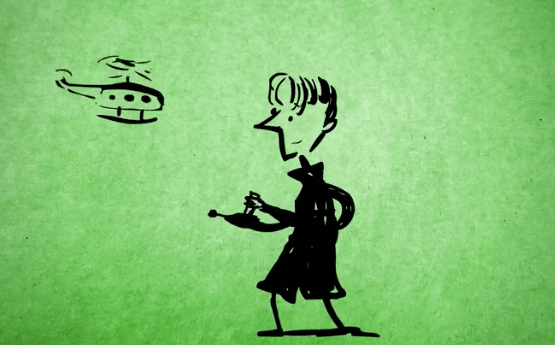 Watch the TED-Ed Animated Lesson: How to build a fictional world. I really think that writing IS magic, but maybe not in the way you mean. I tell my students to write as a way of making sense of things they read, their feelings, things they are thinking about, things they don’t understand, etc. I recommend they write whenever they are feeling overwhelmed or stressed or angry. It is amazing what eventually comes out of the pen! Even when I think I’m done, it is amazing how much more flows out if I make myself keep thinking and writing. It IS magic! It is magical to see how writing calms the soul, how writing helps you process confusion, how writing helps you learn. I may have an idea about what I want to write when I first sit down, but I never know where I will end; it is much like a little mental journey. Of course, I’m not trying to write a novel. There are so many more reasons to write than just to publish a book. Keep writing! I found, late in life, that to require one’s self to distill their thought to the degree that when written, and then read by another; not only did they convey what they had intended, but learned a little something extra in the bargain. I don’t write for a specific purpose but one always seems to emerge during the act. Like discovering that I actually LIKE math at age 59, I discovered that when the only consequence to learning is enlightenment, as opposed to getting a job say, then reading, writing and rithmatic are a treat and the best form of introspection there is. Downright therapeutic. I’ve written more essays in my fifties than the rest of my lifetime. I am particularly proud of my “proof” of evolution and my “proof” of the non existence of time.